This article is currently outdated and is replaced by https://support.reamaze.com/kb/learning-re-amaze/your-notifications-settings. 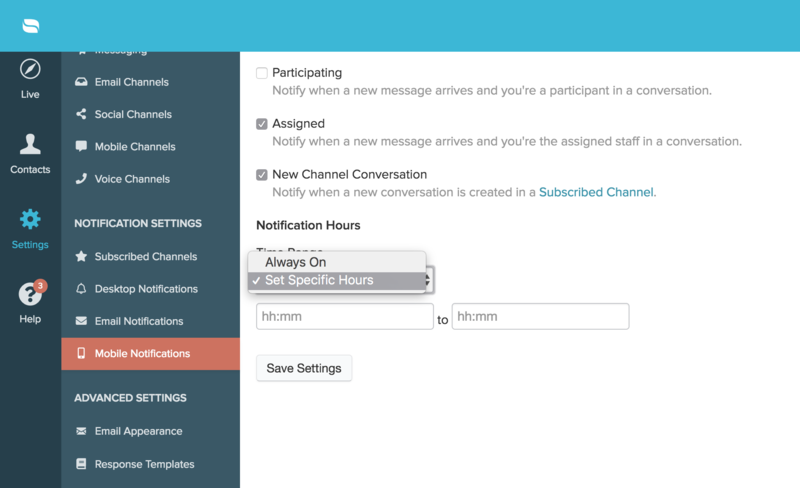 When you create a new channel within Re:amaze you're given the option of adding staff members who will, by default, receive notifications for new incoming conversations and messages that are unassigned. Administrators can subscribe staff members to these notifications at any time. Staff members can also choose to unsubscribe from these notifications under their personal settings. 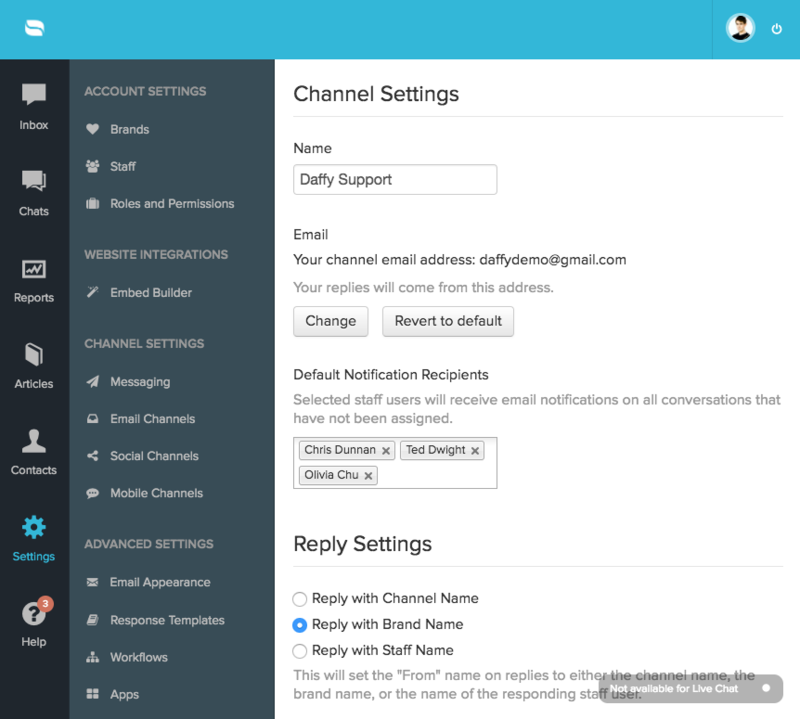 Staff members can open their personal channel notifications page to manage the list of channels they want to subscribe to or unsubscribe from. All available channels will be displayed with a checkbox next to them. Simply check or uncheck to proceed. Once the subscribed list is set up, staff members can then choose which platform they would like to receive these notifications on. If you have desktop notifications enabled new conversation messages that arrive will trigger a sound alert as well as a browser alert pop-up. The exact styling and volume of the notification will depend on your browser and you can also pick to get notified for all conversations (based on your personal channel notifications settings) or just the conversations that you're assigned to or participating in. Email notifications play a crucial role in your ability to converse with customers while on the go. 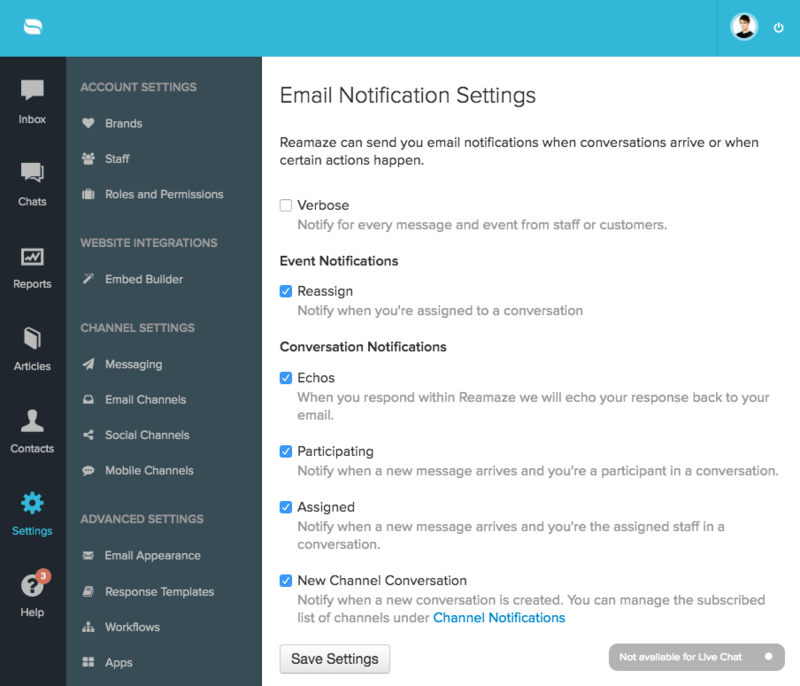 When new conversation messages arrive, Reamaze will send you and your other team members a notification email. You can choose to reply directly from your email client (desktop or mobile browser). Your reply will be synchronized in the Reamaze dashboard and threaded appropriately. Other team members will receive a copy of your reply and the conversation will be assigned to you if you are the first to reply. 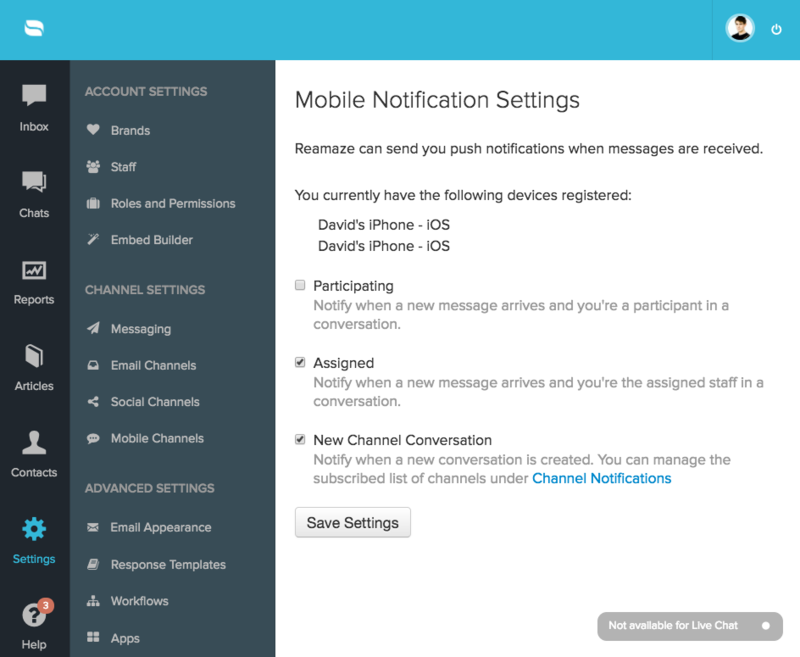 Mobile notifications are only available if you have the Re:amaze for iOS or Android app installed. 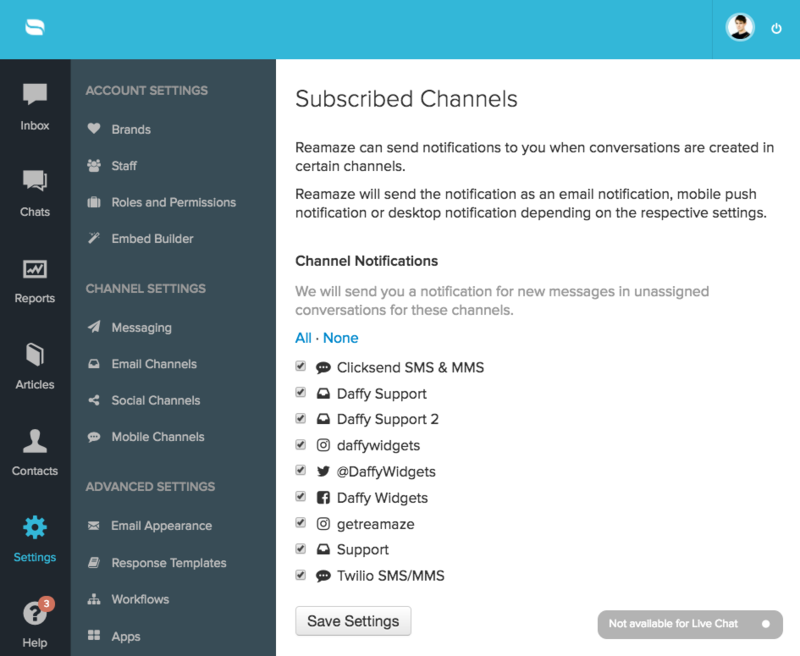 Mobile notifications also abide by the personal channel notifications settings and support a unique sound from Re:amaze. 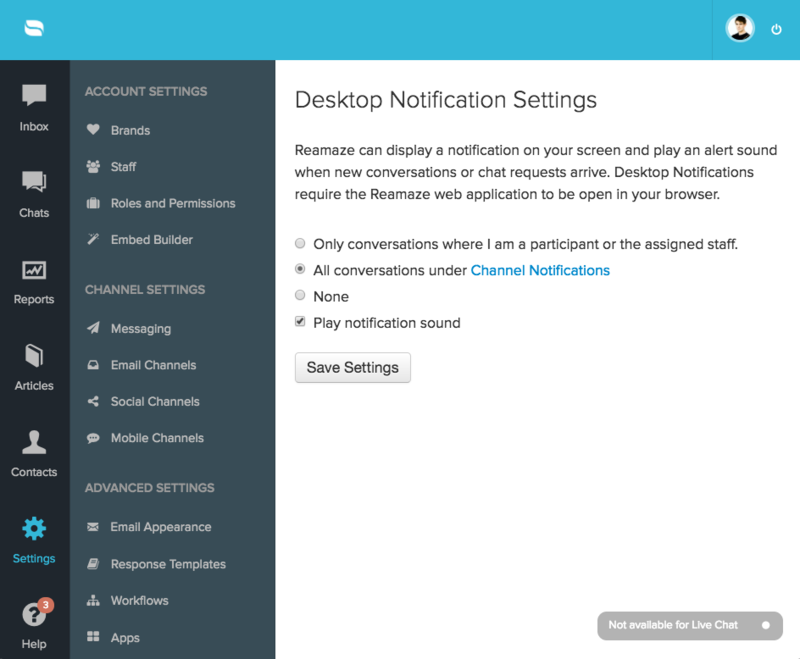 In addition to displaying which devices you have registered for Re:amaze, you still have the option to control the types of notifications you receive. You can choose to receive mobile notifications only during certain hours of the day. You can set this in the mobile notifications settings menu.